The official website of paranormal experiencers Richard and Linda Smith, authors and international speakers on alien contact, UFOs, the Moorish Legacy, human origins and related matters. Who is this white dude named Smith who came from the stars? RICHARD SMITH is a Professional Life-Changing Speaker and Motivational Experiencer, Web Design Consultant and Visionary Author on the topic of Extraterrestrial Contact, the Moorish Legacy, Human Origins and related matters. Smith received high honors at New York State University for his dedicated work with Extraterrestrial Intervention and Alien Contact Phenomena. A published author of the groundbreaking book series, THE VAULTED JOURNALS OF UFOTEACHER, Smith is committed to raising conscious awareness in our health and well-being as Caretakers of the Planet as well as creating a better understanding of our place in the Cosmos, both physically and spiritually. He believes that we must focus on the Lost Knowledge of where we come from before we can truly understand the Ancient Wisdom of where we are going on the path of our everyday lives. He carries a dedicated special interest in making the Human Origins Conference an international success in all regions of the global community for future generations while empowering people to realize how important they truly are in this grandest of all adventures known as life. Globally recognized for spearheading the Human Origins Revolution, he currently resides in Rio Rancho, New Mexico, with his wife Linda Smith. Working on his next book, he has been speaking worldwide with author events, interviews, lectures and conferences. To request Richard Smith for a speaking engagement, public event or interview, please send all correspondence and inquiries to info@ufoteacher.com, Attention: Public Relations Department. 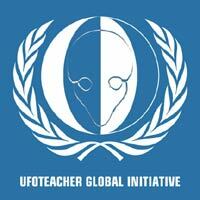 For the full version of the author’s biography, please visit http://about.ufoteacher.com. Ever wonder how we got ourselves into this bottom feeder existence we call civilization? What is the covenant of Gaia? How do our extraterrestrial visitors play into this? What is their actual significance and who are the Corporate Titans of Orion? What is the connection with the Moorish Legacy and the Masonic Agenda? What is the true nature of our existence on this planet? How are the Sasquatch, the Krists and the Temple of Solomon relevant to our destiny in the modern world? Why are academic and religious perceptions of history so completely inaccurate? Why are we the constant target of human degradation? These questions and many more will be explored and answered by author and international speaker Richard Smith at your next event. Contact him today for a book signing or speaking engagement. Love, *** (and lots of it), a beautiful view of the mountains, a walk along the beach to watch the waves roll in, reading, writing, art, film, lecturing, money (and lots of it), world travel, global revolutions and spiritual revelations. Adirondack Mountains, Blue Ridge Mountains, Smoky Mountains, Sandia Mountains, Roan Mountain in Tennessee, Clearwater Beach in Florida, Inn of the Mountain Gods in Ruidoso, the Buffalo Thunder Casino and Resort in Santa Fe, Sedona and the infamous Bradshaw Ranch in Arizona, Searsport along Route 1 in Maine, Nova Scotia in Canada, the famous Butterfly Museum in Florida, the giant glass pyramid in Memphis, Tennessee, Walt Disney World in Orlando, Orient Point on Long Island, New York, as well as anything north of Northern State Parkway on Long Island -- it's all beautiful up there where the rich people live. Write, paint, work out at the gym, work on my web site, watch movies, broadcast my radio show, manage my web design business -- I have plenty to keep me occupied. There is no such thing as free time for me. Remember. Illuminate the mind. Cleanse the body. Liberate the spirit. Change your perspective. Those who preach about chaos will die by chaos and those who stand against an empty fear will live to see tomorrow for the meek shall inherit the land.